Handwriting is super hot in the Bullet Journal community. The digital world may have us typing away most of the day, but we still appreciate the joys of handwritten text. 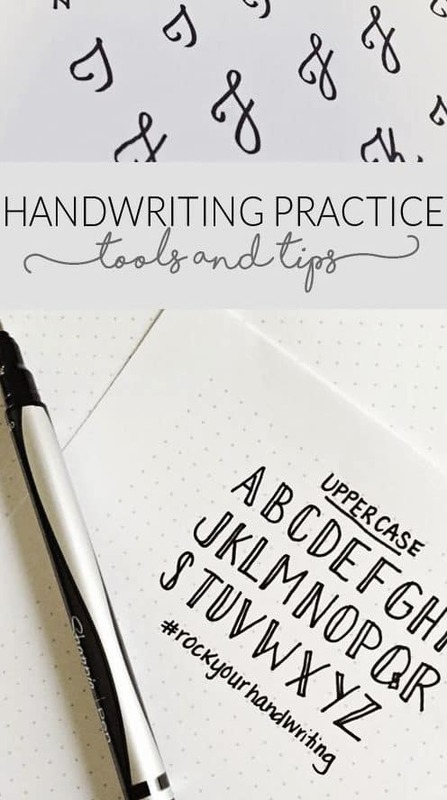 I’ve rounded up my favorite posts to help you take your handwriting to the next level. As I was working in my office the other day, my husband came in and asked,”Can you address this letter for me?” I stopped what I was doing and wrote the address on what turned out to be a BILL–not a personal letter needing fancy penmanship. So, why did he need my help for such a mundane task? Because he believes his handwriting is messy. Almost every day I overhear someone lamenting how terrible their handwriting is. Sure, they laugh about it, but the jokes are also laced with embarrassment. Stop living in the shadows!–Ok, it’s not quite that dramatic, but you should be able to write a note without apologizing for yourself. 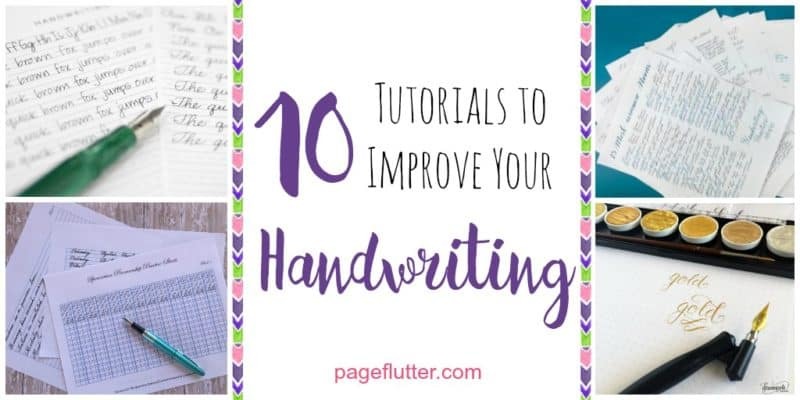 Whether you’re scrawling letters to your pen pals during #InCoWriMo, keeping up with holiday correspondence, or making everyday notes in your Bullet Journal, these tutorials will get your handwriting up to snuff. Before you practice, be sure to grab a top-notch pen from my list of favorites. Nothing like shameless self-promotion to kick things off, huh? I wrote this post back when I discovered Spencerian handwriting books on Amazon. They were so beautiful that I couldn’t bring myself to write in them. I created some printable practice sheets so you can keep your books in pristine condition. Check out the whole post here. 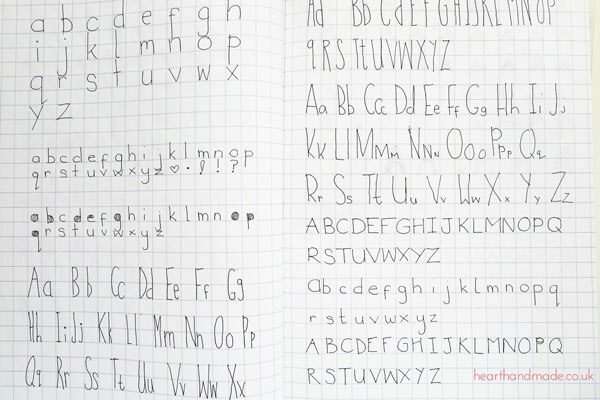 Even if you’re not interested in learning the full-blown art of calligraphy, some basic skills can help your handwriting. You’ll gain awareness of how to form your own letters. Dawn Nicole Designs has tips, tutorials, and free practice sheets to get you going. 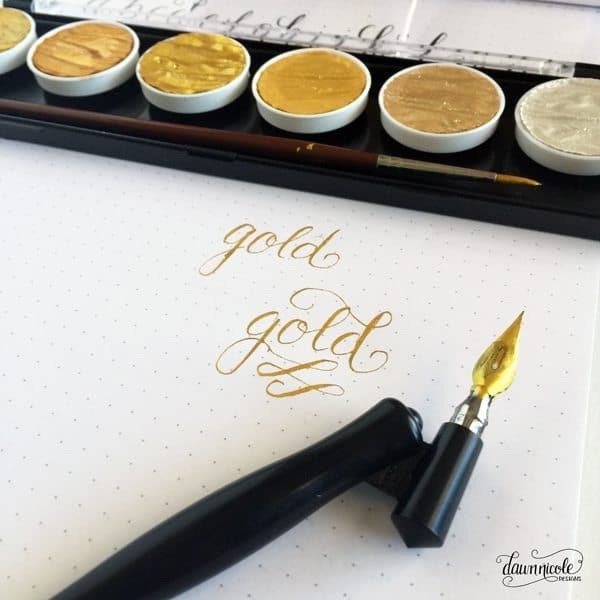 Check out her calligraphy basics here. I don’t want the men out there to feel like I’m neglecting them! 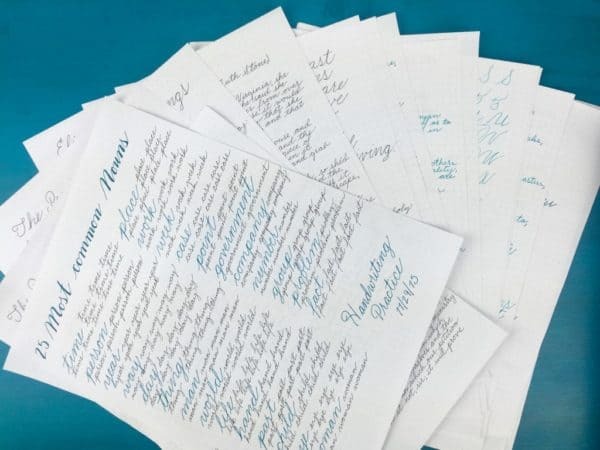 The Art of Manliness created a fantastic post about the important of having legible handwriting. 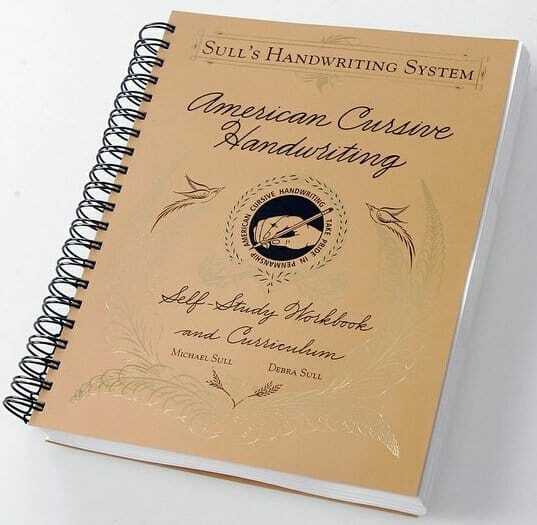 They cover everything from the benefits of handwriting, history of cursive techniques, and give practical advice for improving your own handwriting. See? Not just for women. 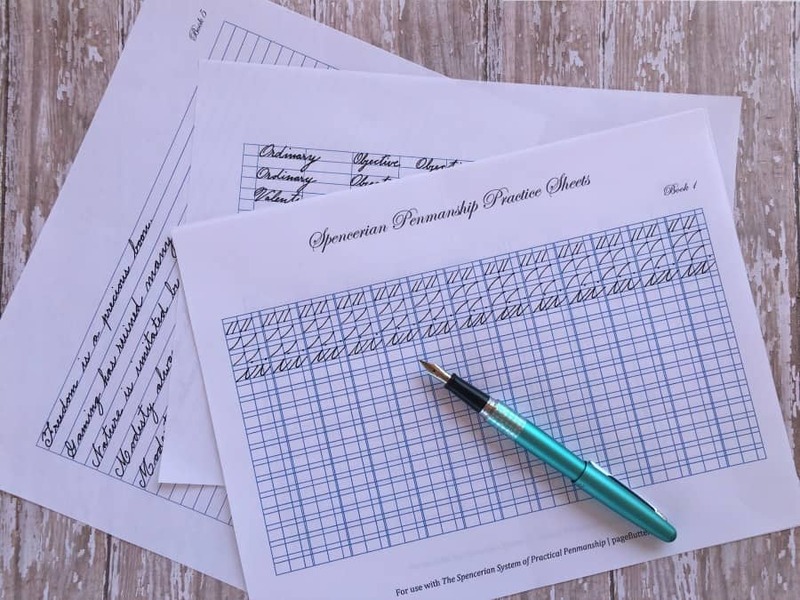 A fellow Spencerian enthusiast (and one of my personal favorite journal bloggers), Boho Berry shows you how she practices in her distinct creative style. 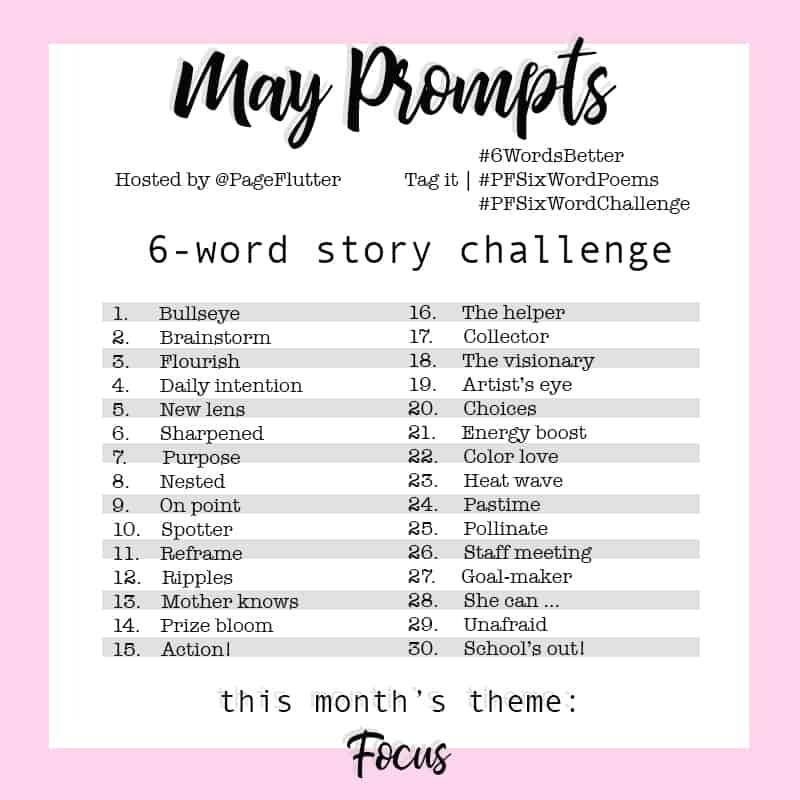 Also check out her #RockYourHandwriting challenge with Tiny Ray of Sunshine, Decade Thirty, and Pretty Prints and Paper. 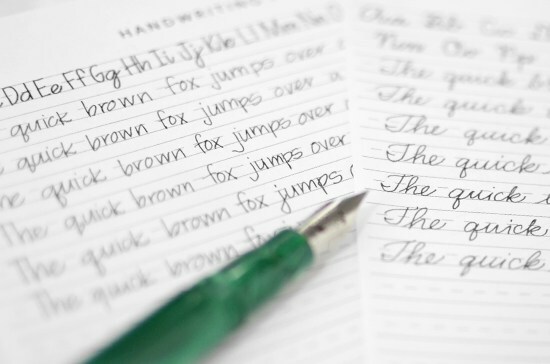 Calligrapher Melissa Esplin shares her tips for making great handwriting permanent. Download her free print and cursive alphabet practice sheets to get started right away. Claire from Heart Handmade UK understands the benefits of keeping a notebook. Hey, we’re Bullet Journalists; you don’t have to convince us! She also has a few downloadable practice sheets, and some great recommendations on supplies. Shelby from Little Coffee Fox and I frequently collaborate. 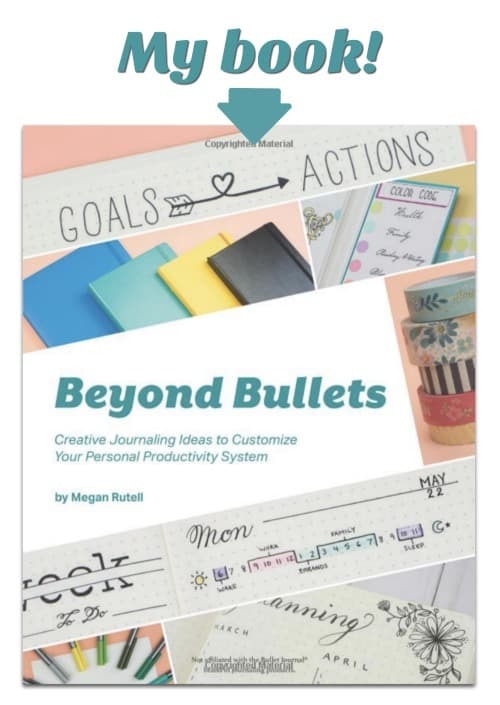 As a fellow journal blogger, she shares my appreciation of putting pen to paper, and we clicked instantly. 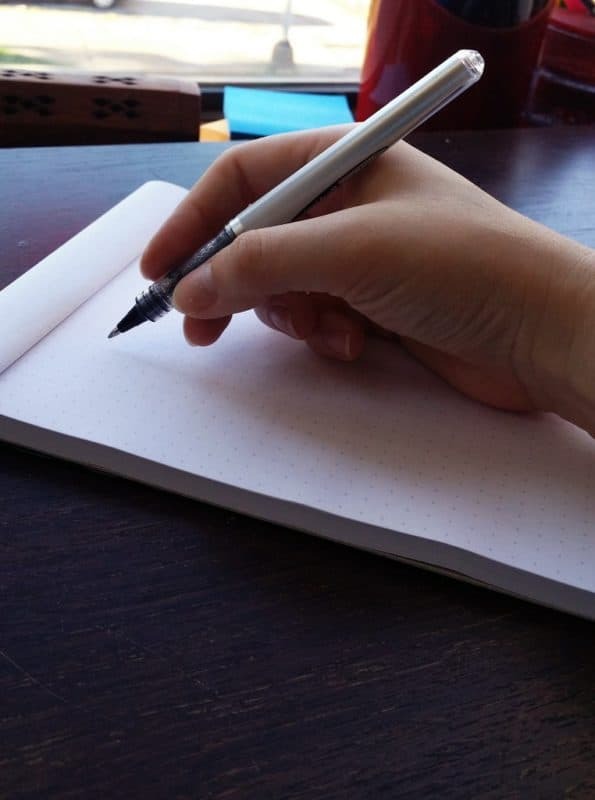 In this post, she offers real tips on proper pen grips, stretches, and her Morning Pages (a habit she’s enticing me to start)! 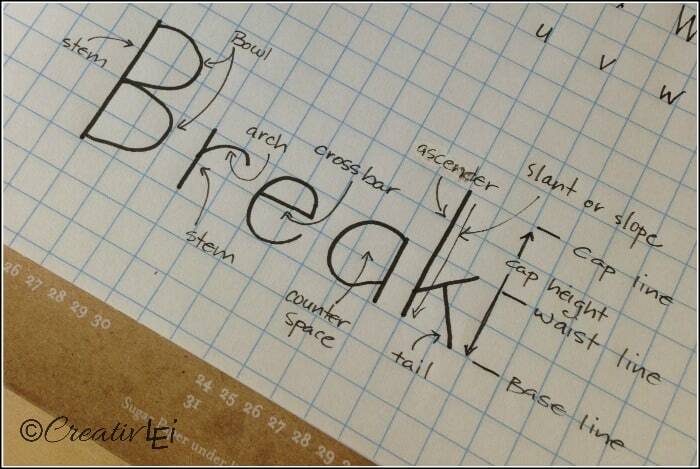 CreativeLEI breaks down the anatomy of letters to help you alter your letters into a style that’s distinctly you. While you’re there, check out her challenge, 31 Days to Love Your Lettering. Hello Brio is another one of my favorite blogs. Jenn always has great advice for freelancers and bloggers, but her tips on handwriting are a special treat. She shows you how to spot your handwriting issues before you start practicing new habits. 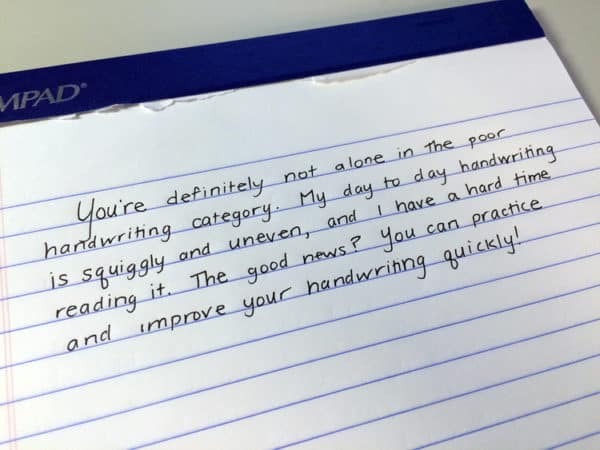 Do you wish your handwriting looked cleaner? 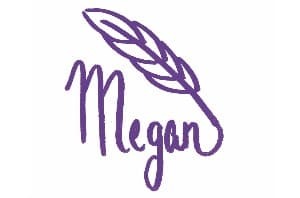 Print or cursive? Comment below with any lessons learned or tips you’ve picked up along the way.